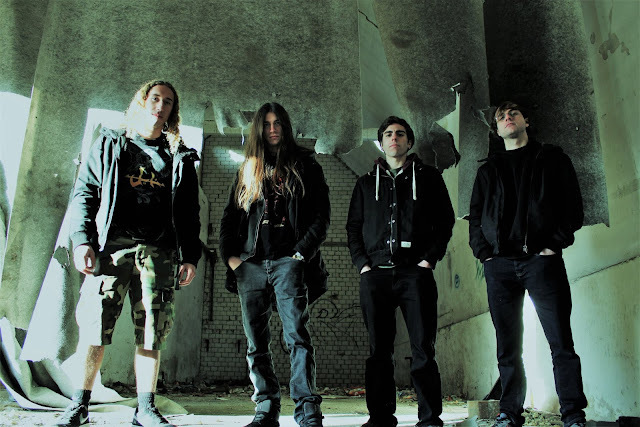 Home » » A few questions - interview with death metal band from Germany - DEMORED. 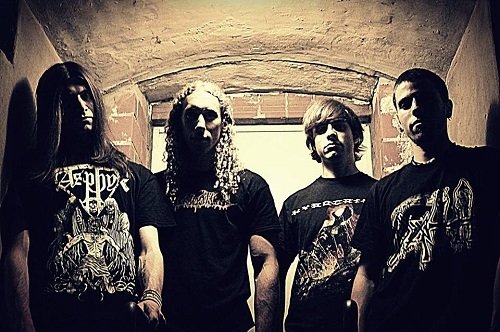 A few questions - interview with death metal band from Germany - DEMORED. 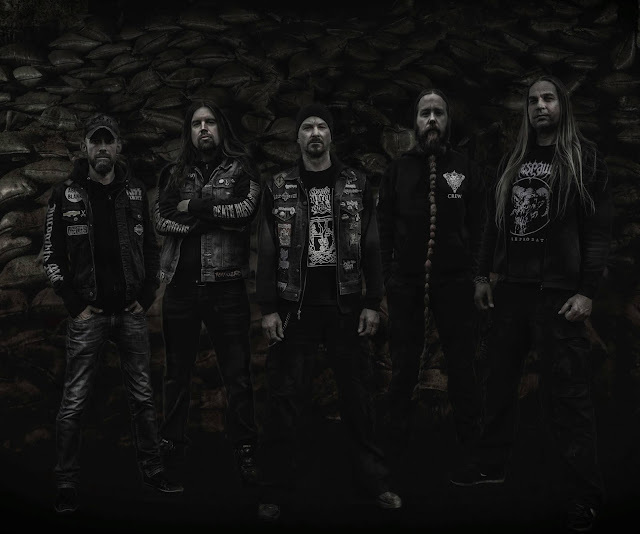 A few questions – interview with death metal band from Germany - DEMORED. Ave, can you introduce your band to our readers? – When was it founded and what style of music do you play etc.? Where and under what conditions were you recording the new album? Who was in charge of sound, production and mastering? Magnus: We recorded ''Sickening Dreams'' wherever it was possible. For example at home in the basement, haha. We've done everything by ourselves beginning from choosing mic's for setup up to mastering. Ernesto, the other guitar player did the mix and master job. How many copies were released and which medium was used for this new edition (CD, digital, vinyl, cassette)? Magnus: The CD edition is limited to 500 in this appearance. Casettes were limited to 50, same as the CD version, they wont be rereleased in this crazy fullbody printed design + booklet etc. It look damn cool but they've been waaay to expensive, haha. This was more a giveaway for the death metal nerds. Who is the author of the lyrics and how were they created and about what do the lyrics deal with? Magnus: I am the writer of the lyrics. Music comes first. When the instruments are done, I start to write a song text. Usually the topics are already in my head while we riffing around. So you can say the themes go with the songs. They are dealing with surreal horror stuff, undeads, death, necrophobia,personal issues and so on. Who created the logo of the band, and who took care of the graphics and the website? What about you and social networks? Do you consider these things important? Magnus: I've drawed the logo with pencil and MS Paint, haha. I also did the website with the help of Lennart, our bass player and mr. Necromaniac. In general, social media is a good way to showcase your band. Although I can not deny it is not unimportant these days to go with social media, we are not very active in that point. If there are interesting news we do a post about it. For my taste, some bands overdo it with Facebook Posts, Instagram, etc. We're trying to find a good flow. We don't have Instagram btw. Which label did you choose for releasing your album and why this label? Are you satisfied by how your label represents you and takés care about you? Magnus: We did the album in cooperation with Neckbreaker Records. Martin is a very good friend of ours, he also did our second EP as his very first work as a label. He is 200% behind his releases and spares no expense to make a great release. He also did a great job with the promo, the presale went very well. So yes, we're happy with Neckbreaker Records. Which bands do you idolise and where do you get your inspiration? Magnus: Hard to say, because we do not try to sound like a particular band or to make a special sound. Certainly some bands we hear a lot to characterize our riffing, but it occurs rather subconsciously. Important - we all love doom, hehe. Besisde death metal, that's another basic element. Did you send your record to some Labels - which are the labels? How was the response? Magnus: No, becorpse with our debut we wanted to go with Neckbreaker Records again. How many gigs have you played? Which type of gigs do you prefer, whether it's (clubs or festivals) and which of your performances would you consider as the best? Magnus: We always enjoy playing live. It's the atmosphere that makes a concert special. location, crowd, personal feeling, the right level of being drunk, haha. 2017 we played at Path Of Death, a one-day festival in Mainz/Germany. I think we did a good job there. The album release gig in our hometown Braunschweig was killer as well. We do not play often here. What about your plans for the future? What do you want to achieve with the band? Magnus: We haven't a strickly plan or something like that. We just enjoy to play death metal and the band evolves in a rhythm that feels good for us. No stress, just passion. However, to play at Party San OA would be stunning. How and where can your fans contact you? Can you provide some contact information? Or just talk to us at a concert! Thanks to you Jakub for the interest in our band.